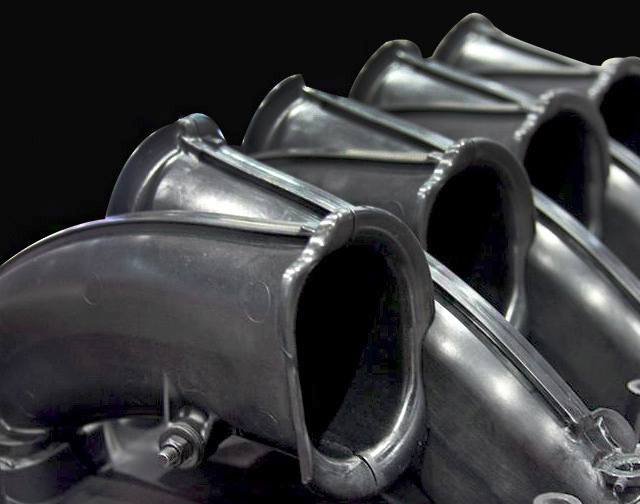 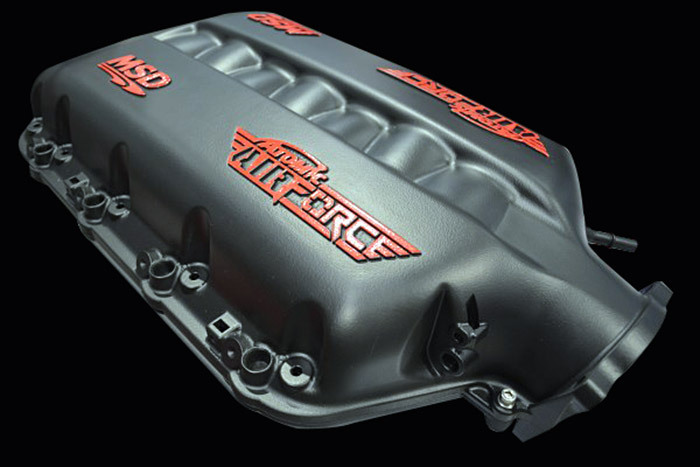 MSD's new series of Atomic AirForce intake manifolds opened a lot of eyes at the 2014 SEMA Show. 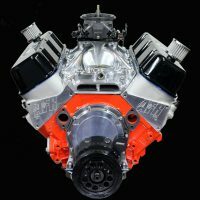 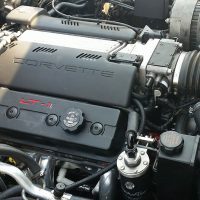 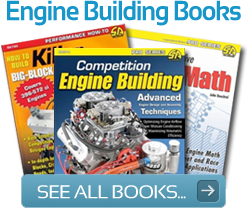 The new intake systems were thoroughly researched and painstakingly developed to deliver improved airflow to both stock and modified LS-series engines. 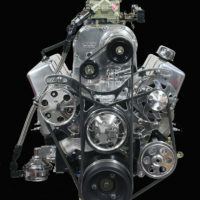 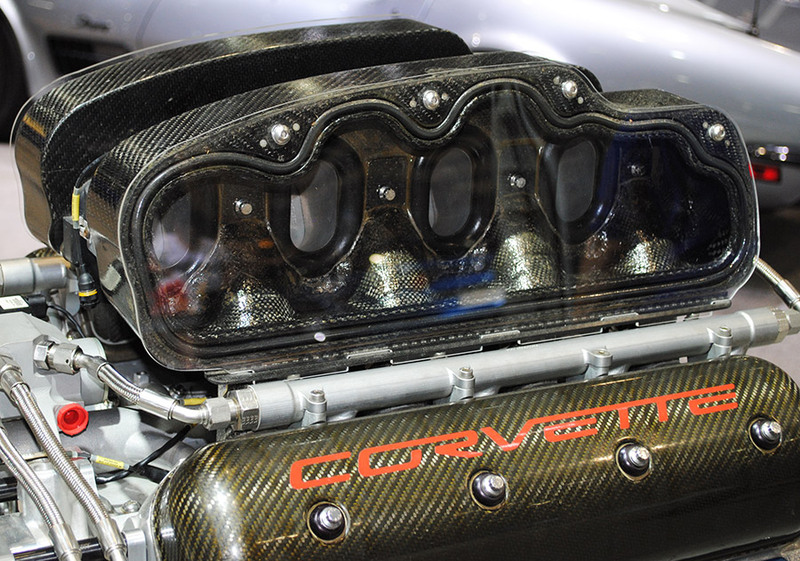 The unique tuned length bell-mouthed intake runners emulate proven competition practice as seen in a current LT 5.5 C7.R Corvette road racing engine shown on the right. 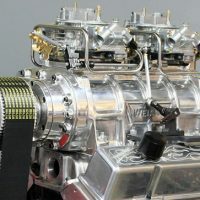 The cross sectional area and tuned length are suitable for high performance street and some racing applications while optimizing available plenum volume with an unobstructed flow path over opposing runners. 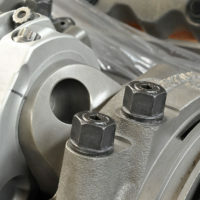 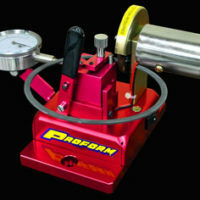 The polymer molded 2-piece design also allows easy access to the runners for porting if desired. 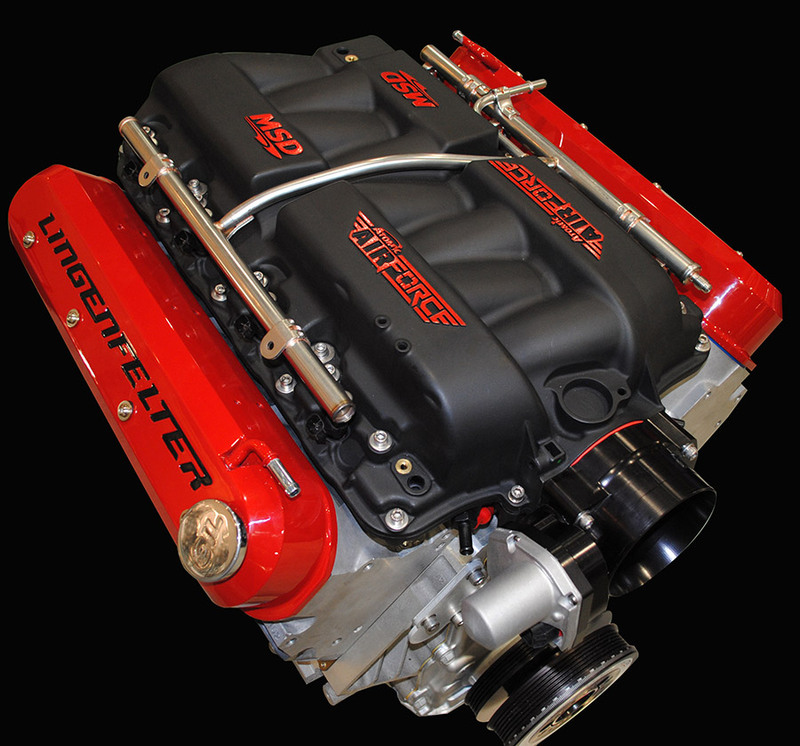 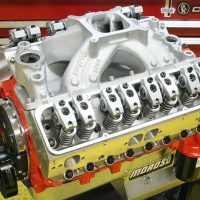 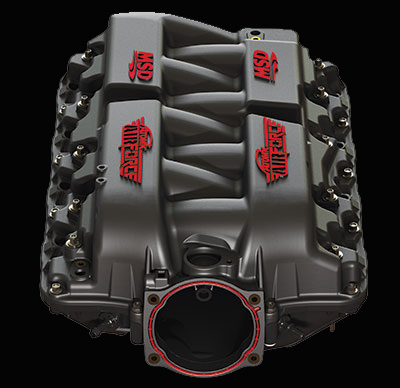 Early testing performed by Lingenfelter Performance Engineering has shown the new intake to maintain or slightly increased low speed and mid-range power while generating substantial gains at higher rpm. 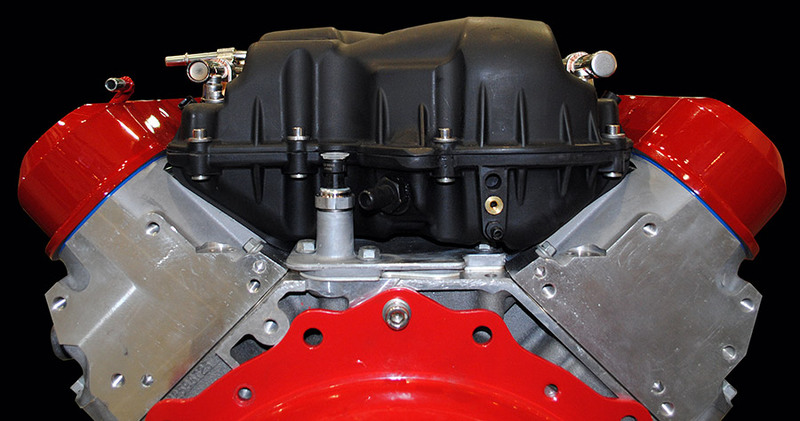 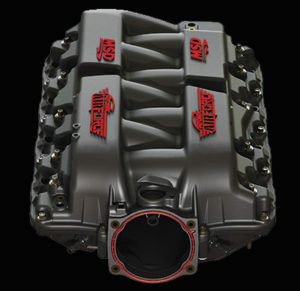 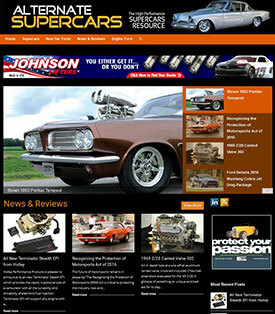 Atomic AirForce intakes are available to fit the full range of LS engine applications. 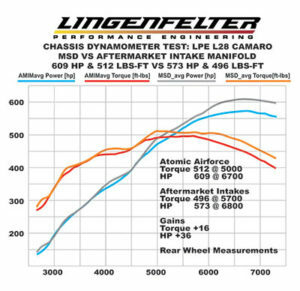 See chart below for your specific engine. 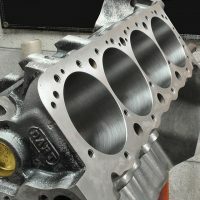 Early checking shows the initial price range to ne $950-1100 depending on the application.